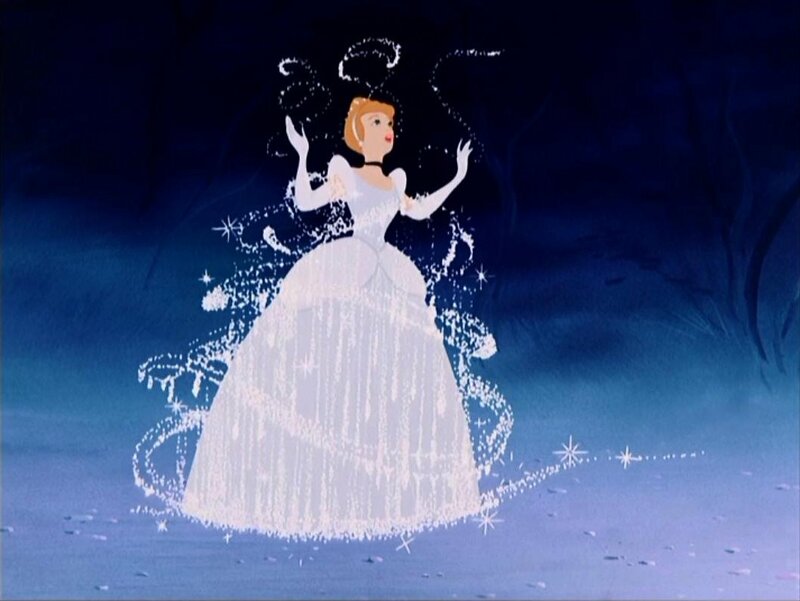 Writing about Cinderella feels so intimidating to me. What do you say about such a famous and beloved Disney classic? Seriously....does anyone not like Cinderella? This film sort of ushered in the second golden age of Disney. Especially compared to the package films of the 40s, the animated classics made in the 50s and 60s are glorious and stunning. 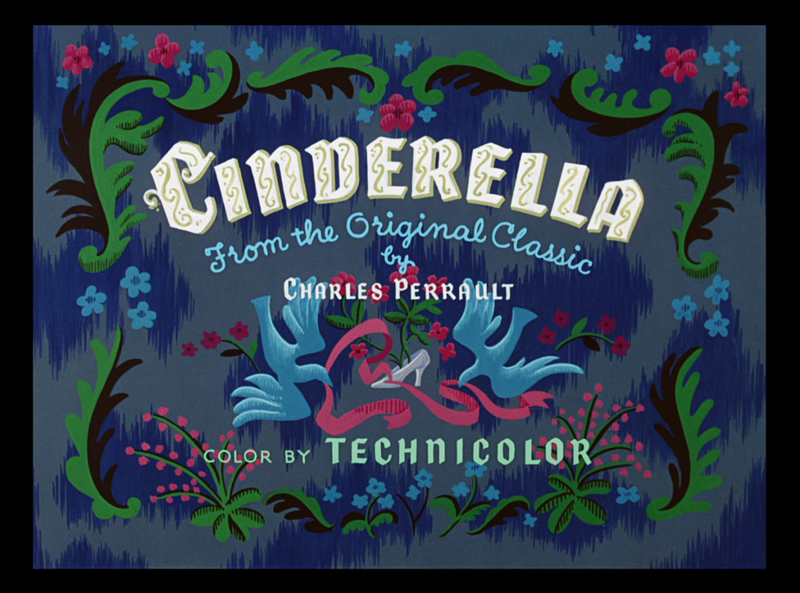 While I don't specifically remember Cinderella being a favorite when I was younger (I watched the older films, but I was more into Pocahontas and The Little Mermaid), this film was definitely part of my childhood. There are certain parts that are so deeply ingrained in my memory...spoken lines that I subconsciously seem to know word-for-word and images that are incredibly familiar to me. Gus trying to gather up corn amongst the chickens (oddly enough :). 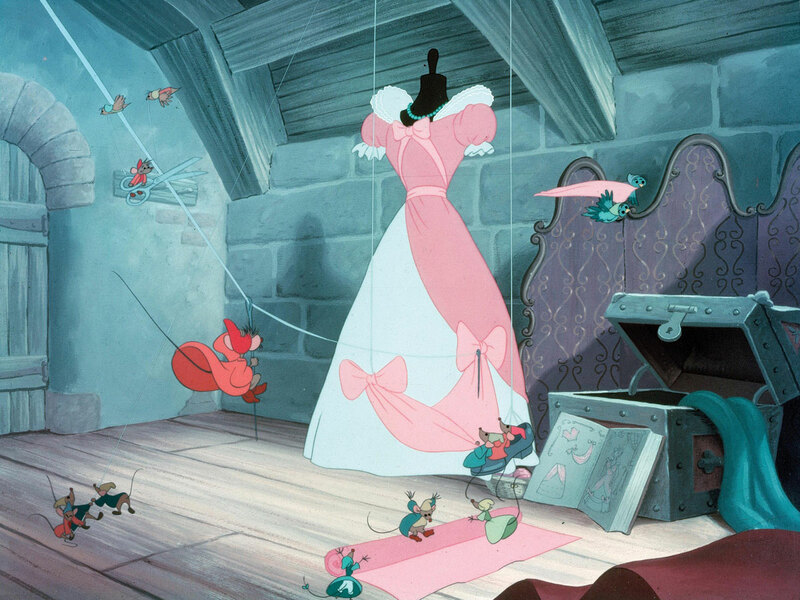 The lines Cinderella speaks when the clock tower chimes after she sings "A Dream Is a Wish Your Heart Makes." The wicked stepsisters' dreadfully out of tune rendition of "Oh, Sing Sweet Nightingale" and that high-pitched flute. The plot isn't anything too special, but that's okay. The rest of the film is so awesome that it doesn't matter. :) Certain aspects of the plot that bother me with other adaptations (the prince and Cinderella falling in love after only a few minutes, for example) don't even cross my mind here. Cinderella is such a sweet and long-suffering character. She's nearly always cheerful and positive....I don't think many of us would be so accepting of being treated like a servant in our own home by our stepmother and stepsisters. :) Also, the voice of Cinderella is perfect. So fairytale-like and soothing! The stepmother really is heartless and the stepsisters are suitably obnoxious. And Cinderella's little mice friends...I love them! :) They're so adorable and funny, even if they do sound too much like chipmunks while singing. I really like the little plot lines involving Lucifer the cat, too. :) I like the King and the Duke. I think it's interesting how the king only wants his son to get married so he can have grandchildren. And not in a "we need an heir to preserve the royal line!" sort of way, it seems. He really just wants kids around the palace again! 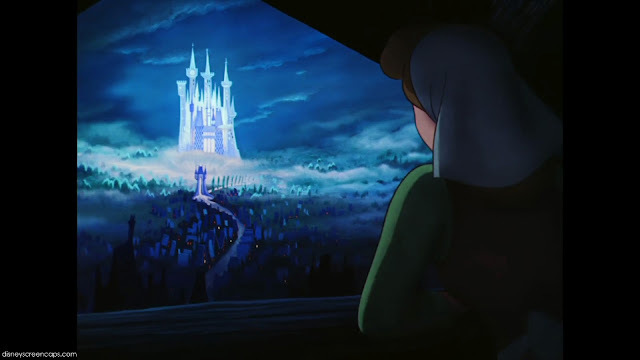 Just a few little random things I noticed while watching it again....I had never noticed before that when Cinderella runs out to the garden to cry, she goes straight to the weeping willow. 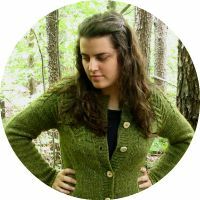 I probably wouldn't have realized that at all if I wasn't currently rereading Ella Enchanted, and towards the beginning, the author mentions Ella going to cry under a weeping willow in the cemetery after her mother dies. Also...I have to wonder how big this kingdom actually is if that small crowd in the ballroom consists of every eligible young lady in the entire kingdom! 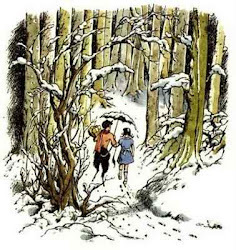 And it made me smile when the Duke is rambling on about how silly and fairytale-like the romance would be that the King wants for the prince, at the exact moment that romance is actually occurring downstairs. Oh, and I have to mention the songs! It seems that Cinderella hit the wonderful songs jackpot. I love Disney soundtracks, but it seems like with most of the films, there are at least a few songs that I don't really like. But I love all of the songs in Cinderella. Do you have fond memories of Cinderella, too? Do you agree that it's one of the best Disney classics? It's been so long since I saw this, and your review makes me want to see it right now! I always loved this one, and it "aged" better than my other princess favorite (Sleeping Beauty). The plot is not exciting, but it was fun to watch for the reasons you mention.